The German computer magazine, "Computer Bild", which has a circulation of 4 million, has carried out a comprehensive test of seven different spam filters, and the winner was SPAMfighter. 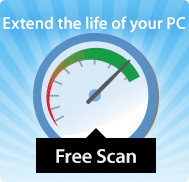 SPAMfighter beat Bitdefender, Microsoft spam filter, Spampal, Spamkiller, Spamhilator, Superspamkiller Pro and Spambully. Computer Bild wrote: "Finally, a spam filter which works. SPAMfighter Pro’s good spam recognition is impressive. The filter removed 960 out of 1000 spam mails." Computer Bild’s software editor, Olaf Pursche, continues: "Do you daily receive emails from strangers? E.g. from "Vanessa", who wants to help you lose weight? Or from "Fernando", who can get you an exclusive watch, cheap? I don’t! Thanks to the test winner, SPAMfighter Pro, that kind of annoying message is immediately put into my Outlook 2003 rubbish bin. The combination of these two programs keeps my inbox free of spam." "We are very pleased with the test result. We are up against big American corporations with plenty of capital, and yet we have still managed to develop a better product. This is a clear sign that Danish innovation can match the best in the world, even though we sometimes have less resources", says Martin Thorborg, co-founder of SPAMfighter. 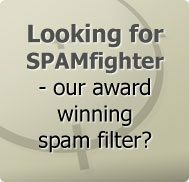 SPAMfighter draws its power from the fact that around 600,000 users report spam as they receive it, with a single click. Once several users have reported the same spam mail, it is then automatically filtered for all other users. The result is that more than 95 per cent of all spam is filtered out before it reaches each user. SPAMfighter is Europe’s leading anti spam developer. The Danish company is owned by the founders of Jubii.dk (Now Lycos Denmark), Henrik Sørensen and Martin Thorborg, and two programmers, Daniel Hjortholt and Martin Dyring. SPAMfighter is debt-free and is 100 per cent financed by income from the sale of the SPAMfighter client. Each day, SPAMfighter removes 2 million spam mails from 3 million tested emails received by over 600,000 users in 194 countries/regions.